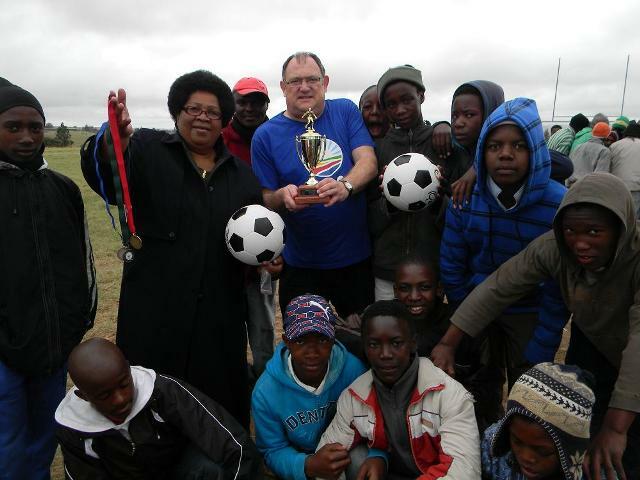 A A very successful DA sponsored soccer knock-out tournament between eight local soccer teams from the Amahlathi Municipality took place on Heritage Day on the Amatolaville Fields. Cllr Julia Gxalaba, Cllr Taki Kyriacos and MPL Dacre Haddon opened the Games in cold and drizzly weather. The matches at times became rough as teams were desperate to win. The umpire kept strict control and broke up rough play on a few occasions. The winning team (Mabhelempe) from Kubusie walked off with the large gold cup, a new soccer ball and a medal for each team member. Runners up received a smaller gold cup, soccer ball and medal for each team member.